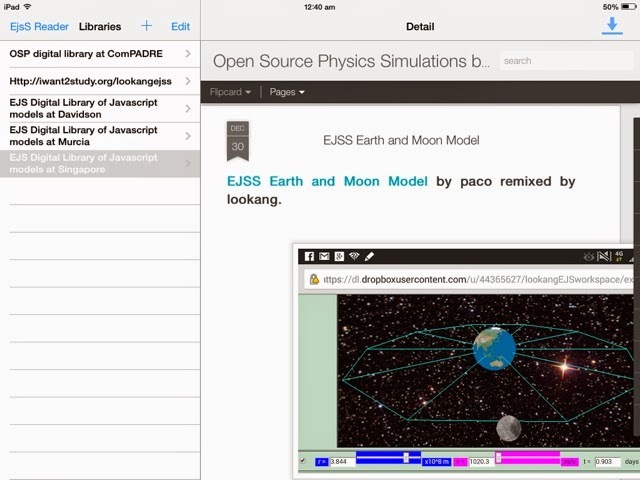 Welcome to our repository of Open Educational Resources / Open Source Physics @ Singapore! 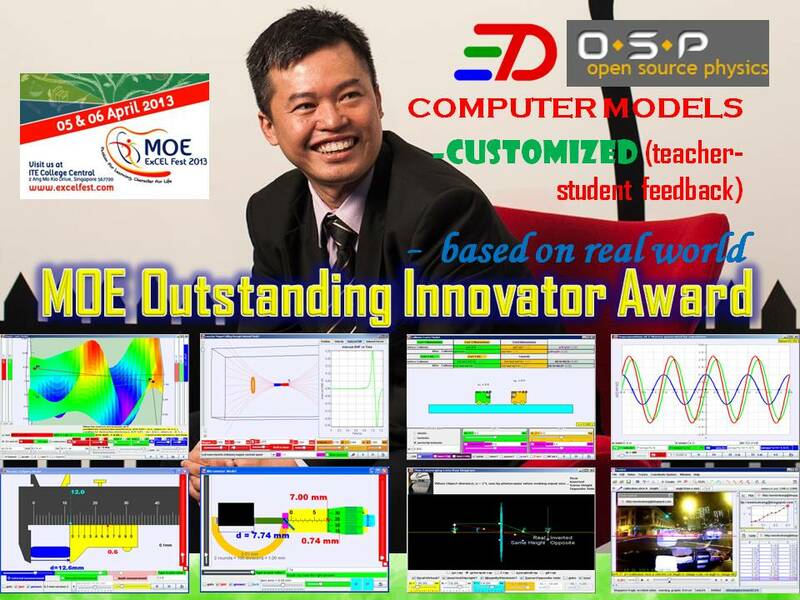 Open Educational Resource @ Singapore (OER@SG) and Open Source Physics @ Singapore (OSP@SG) are experimentation and innovation efforts aimed at nurturing a culture of innovation and reflective practice across schools. These efforts are conceptualised under the framework of Translational Research, Innovation and Scaling (TRIS) in MasterPlan 4 for Education Information and Communication Technology (ICT). Under this framework, teachers engage in professional discourse (through discussions on OER@SG articles, OSP@SG Whatsapp chatgroups, etc.) in order to learn, reflect and explore together, deepen their practice and improve their craft. Through technology scans and translational research, successful evidence-based practices (see the OER@SG Research page) will be identified, catalogued as articles and scaled up to other schools in the system. 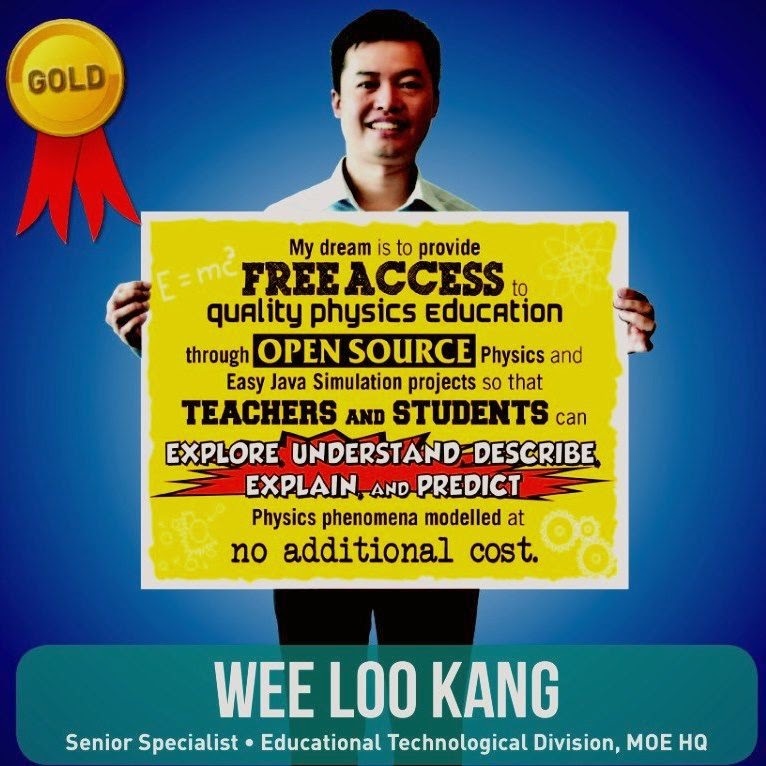 Scan for educational technology-related issues, promising applications and themes (see the OER@SG Interactive Resources pages) of relevance to the Singapore education system, and to engage stakeholders on possibilities. Translate research findings into classroom practice, lesson resources and learning design principles via rapid prototyping (see the OSP@SG simulations). 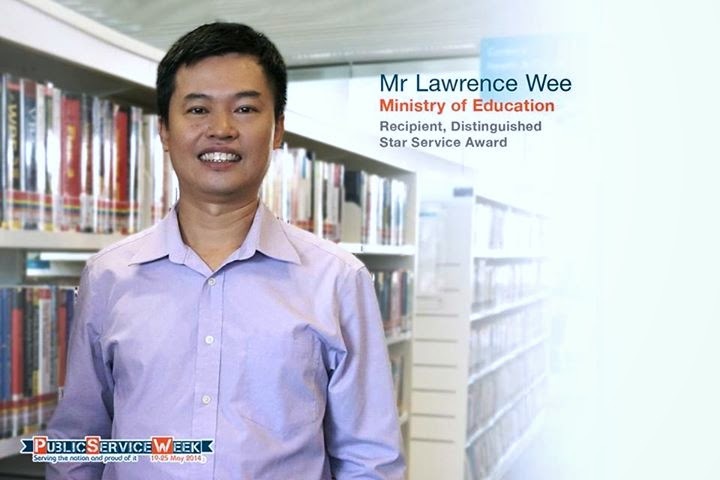 Spread successful practices developed through the innovation projects (http://edulab.moe.edu.sg/edulab-programmes/existing-projects), by making them available for all schools to adopt and adapt (e.g., through harnessing OER, a UNESCO initiative since 2003). 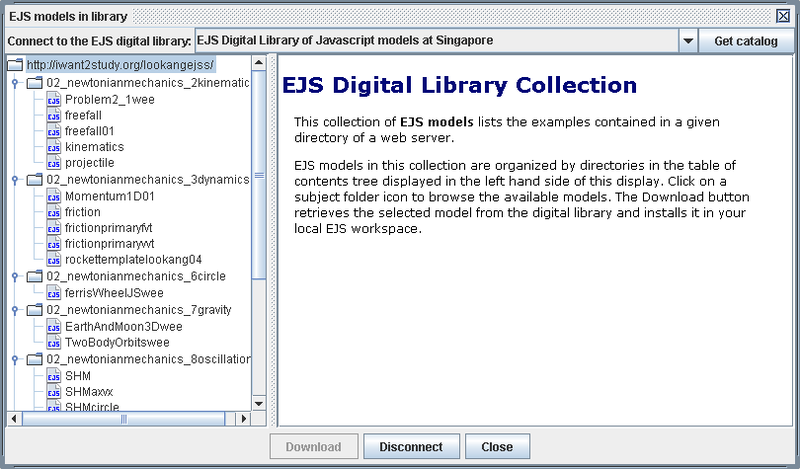 adaptable (all EJSS source code is available so that models can be improved or added upon, with Java Runtime and a computer). Browse the collection to view thumbnail images. Double-click on a video to open it in Tracker. 1b) Easy Java Simulation for *.jar files, computer with Java runtime , double click the downloaded jar file and it should launch. 7) Others basically are links out the the original host and content providers, so click and play on their websites. Currently, this site http://iwant2study.org/lookangejss/ is hosted on a personal server by @engrg1 Lye Sze Yee. Thanks a million for hosting! Join the Open Source Physics community and be a citizen of the world! All ejs and ejss, trz models are copyrights of the respective authors, we ask that you attribute them individually to respect their copyright, under creative commons attribution. Any opinions, findings and conclusions or recommendations expressed in these materials are those of the author(s) and do not necessarily reflect the views of the Ministry of Education, Singapore, the National Institute of Education, Singapore nor the National Research Foundation, Singapore.